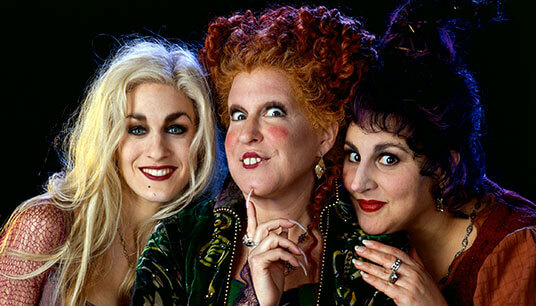 “Hocus Pocus 2” In The Works?? HOLY SANDERS SISTERS!! I CANNOT CONTAIN MYSELF! BUZZNET! Join me on WEDNESDAY, OCTOBER 13TH for a HOCUS POCUS VIEWING PARTY! Join Me All Through October for BUZZNET’S HALLOWEEN MOVIE VIEWING PARTIES!